4 Cylinder, 1.2, Fuel Injected 4 Cylinder, 1.5, Turbocharged 4 Cylinder, 1.6, Fuel Injected 4 Cylinder, 1.6, Turbocharged 4 Cylinder, 1.8, Fuel Injected 4 Cylinder, 2.0, Fuel Injected 4 Cylinder, 2.0, Turbocharged 4 Cylinder, 2.4, Fuel Injected 4 Cylinder, 2.4, Sequential-Port F.I. 4 Cylinder, 2.5, Fuel Injected 4 Cylinder, 2.5, Sequential-Port F.I. 4 Cylinder, 5.3, Fuel Injected 6 Cylinder, 3.0, Diesel 6 Cylinder, 3.0, EcoDiesel 6 Cylinder, 3.0, Supercharged 6 Cylinder, 3.3, Fuel Injected 6 Cylinder, 3.5, Fuel Injected 6 Cylinder, 3.5, Sequential-Port F.I. 6 Cylinder, 3.6, Fuel Injected 6 Cylinder, 3.6, Sequential-Port F.I. 8 Cylinder, 5.3, Fuel Injected 8 Cylinder, 5.7, Fuel Injected 8 Cylinder, 5.7, Sequential-Port F.I. 8 Cylinder, 6.2, Fuel Injected Turbo 8 Cylinder, 6.4, Sequential-Port F.I. 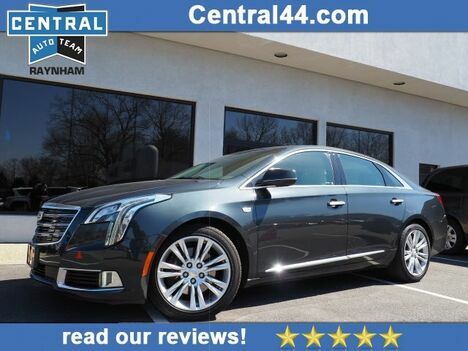 * 6 Cylinder engine * * 2018 ** Cadillac * * XTS * * Luxury * Auto fans love the backup sensor, push button start, remote starter, backup camera, parking assistance, a navigation system, braking assist, dual climate control, hill start assist, and stability control of this 2018 Cadillac XTS Luxury. It has a 6 Cylinder engine. Flaunting a sleek dk. gray exterior and a shale interior, this car is a sight to see from the inside out. You can trust this 4 dr sedan because it has a crash test rating of 5 out of 5 stars! Call or visit to talk with one of our vehicle specialists today!